Homeowners insurance is one of those bills you cannot eliminate from your budget because it is vital; however, it is a bill you should examine each year to see if you can save some money. Getting an annual quote is a great way to save money, and you should definitely take advantage of this if you recently made improvements to your home. The improvements you made could help you qualify for discounts on your policy. Insurance companies use a lot of methods when calculating premiums for all types of insurance products, but risk is the number one factor that affects the costs of policies. When insurance companies view policyholders as high-risk individuals, they charge more for premiums. Low-risk individuals, therefore, pay lower rates for insurance premiums. Risk matters to insurance companies, and this is one of the reasons insurance companies give discounts to people who make improvements to their homes. Home improvements typically reduce risk. In other words, home improvements reduce the chances that a homeowner will file a claim. Any type of home improvement makes a house either stronger, safer, or more valuable. In most cases, these improvements reduce risk because they make it harder for a house to experience damage. When risk decreases, home insurance premiums decrease. There are many types of improvements that can affect the rates you pay for home insurance. Roof repairs or replacement is a perfect example of an improvement that will typically offer a discount on your policy. With a new roof, your home is less vulnerable to storm damage. This automatically decreases the risk you have for filing a claim. Other types of improvements can also make your home safer against storms. 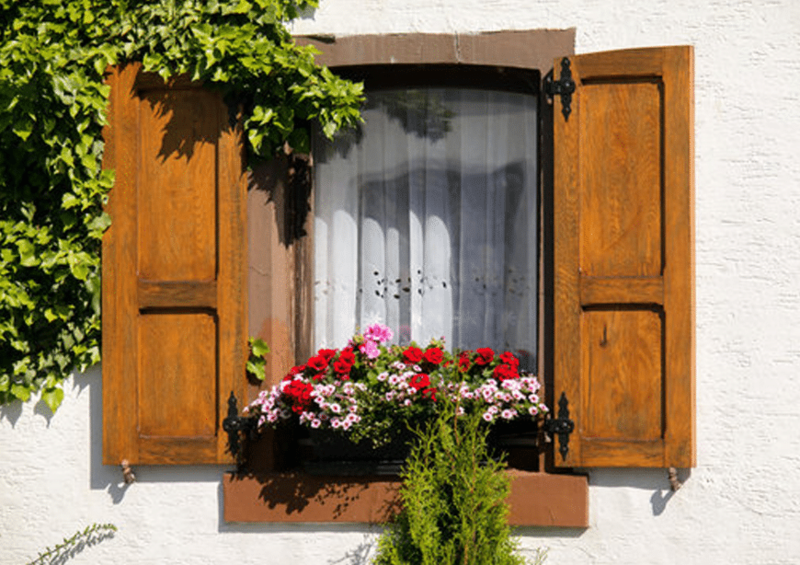 Adding shutters to the windows is one example of this. Anything you do that protects your home against threats is good for your insurance bill. Installing new locks, a security system, or outdoor lighting are all examples of improvements that make a house safer. If you install any of these things, your insurance company might reward you with a credit. Each of these items may make it harder for criminals to break into your home. Anything you do to keep criminals away will result in lower insurance premiums because it reduces the chances of you filing a claim for stolen belongings. Updating your home’s old electrical system to a new one is another type of improvement that can positively impact your insurance rates. A new electrical system makes a home safer, which is why you should let your insurance company know if you complete any types of tasks around your house. While you should not call for a new quote every time you make any little improvement in your home, developing the habit of calling annually for a quote is a great idea. Each time you call for a quote, an agent will ask you a series of questions. Each question helps the agent determine your level of risk, and this is essential for getting the most accurate rate. In addition, changes in your life can also impact the price you pay for insurance. For example, if you got married sometime recently, this could lower your insurance, because married people pay lower rates on insurance than single people. The same thing is true if you had a child during the last year. Contacting an insurance company for a homeowner’s insurance quote is one of the best ways to find out if you can save money on your insurance. To find out additional information about your homeowner’s insurance policy, contact The Trottier Insurance Group today.